Max and his dad love their weekends together. Weekends mean pancakes, pizza, spy games, dog-walking, school projects, and surprising neighbors! 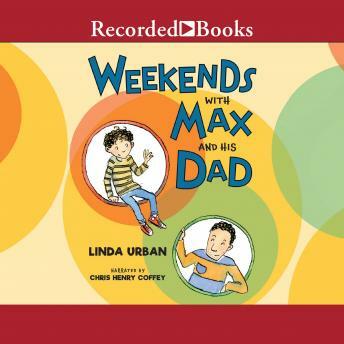 Every weekend presents a small adventure as Max gets to know his dad's new neighborhood-and learns some new ways of thinking about home. Acclaimed author Linda Urban deftly portrays a third-grader's inner world during a time of transition in this sweet and funny illustrated story that bridges the early reader and middle grade novel.